We offer all of our guests free Wi-Fi, free airport shuttle, a free continental breakfast and an indoor/outdoor swimming pool open year round. Red Roof PLUS+ & Suites Houston IAH Airport SW is a pet-friendly hotel. Red Roof PLUS+ & Suites Houston IAH Airport SW is a family-friendly hotel in Houston located just a few miles away from the Houston George Bush Intercontinental Airport (IAH). We are not far from Jesse Jones Park & Nature Reserve, Kingwood Cove Golf Club, Wet n Wild Splashtown, the Houston Zoo, Sam Houston Race Park, Deerbrook Movie Tavern, Lone Star College North Harris and the Humble Civic Convention Arena and the United Airlines Training Center. We offer all of our guests free Wi-Fi, free airport shuttle, a free continental breakfast and an indoor/outdoor swimming pool open year round. 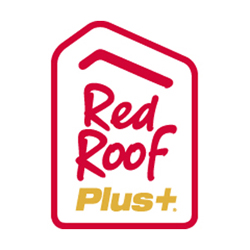 Red Roof PLUS+ & Suites Houston IAH Airport SW is a pet-friendly hotel.